Unispace Sunderland today marks its first attendance at International Confex with a trio of event wins. The venue has secured the British Pharmacy Students National Conference (BPSA), the National Citizenship Scheme and the Institute of Gas Engineers National Conference. Taking place in April 2012, the BPSA national conference sees pharmacy students from across the UK attend its annual conference over one week. The National Citizenship Scheme event is government-led initiative involving a two-week long residential event that aims to involve 200 young people in all aspects of citizenship. 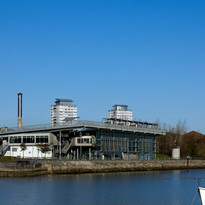 Julie Adcock of the Institute of Gas Engineers commented: "Sunderland is a vibrant and developing part of the UK and UniSpace offered our conference a unique venue in a stunning coastal location. We were impressed with the versatility of the venue and are excited to be taking our event to the North East for the first time."